Below are some of the Multiple Listings Service® (MLS) listings in Nelson BC and the Kootenays, including those from Luke and many from other REALTORS® in the area. There are many more MLS listings for Nelson and the area that Luke can personally access for you. 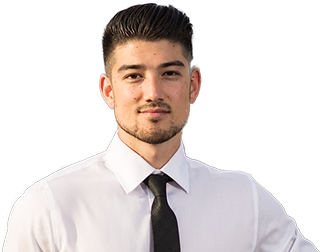 So contact Luke to discuss your needs and find your dream home. Call Luke’s cell now on 250-551-4917, or email Luke at luke@lukemori.com. Maximum number of listings reached for display. Refine your criteria to see other listings. Don't see the property you desire? There are many more MLS listings that I can access for you in the Nelson and Kootenay Lake area. whether looking to buy now or just exploring for the future. The best home for you may be anywhere in the Nelson area. That’s why Luke also provides a large number of MLS listings in Nelson BC here for your review. MLS stands for Multiple Listing Service, and MLS systems are cooperative selling systems used by REALTORS® all over Canada. Realtor.ca has more information on MLS and the reasoning behind it. You can browse many MLS listings for Nelson, BC and Kootenay Lake right here on Luke’s website. And if you don’t see what you need immediately, please contact Luke, because he is able to access an even greater selection of MLS properties. "Luke was amazing to work with and a true professional! We were first time home buyers purchasing vacant land so we had a lot of requests that needed to be met. He was organized, efficient, honest and always available to answer questions! He even helped us with inquiries to utility companies, lawyers, other realtors, etc. We had several issues arise(through no fault of our own or Luke’s) but Luke had excellent communication throughout and we are very happy with how things turned out in the end. It is refreshing to deal with someone that is so knowledgeable in the industry and has such a go-getter attitude. I strongly believe he is the #1 realtor in the Kootenays and will be recommending him to everyone!!!"